How many of you are familiar with this routine??? You teach a grammar lesson, on verbs, let’s say. 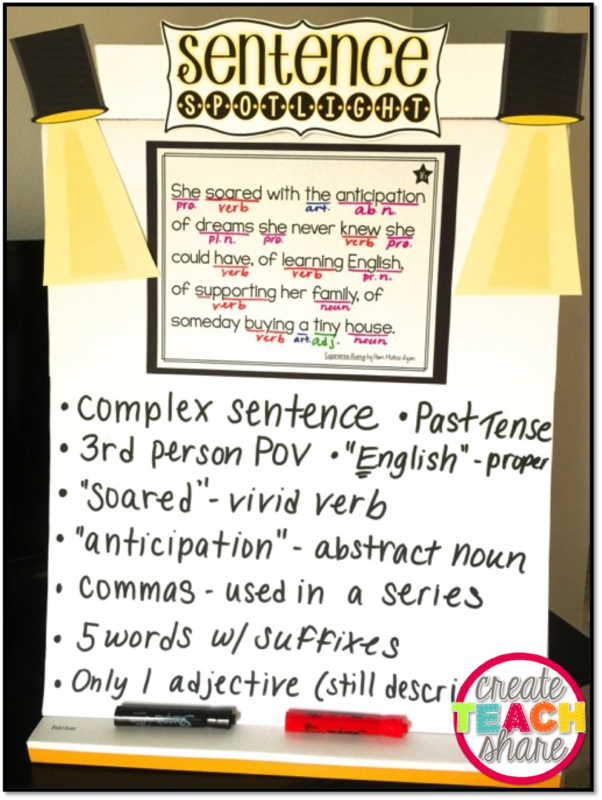 You create an anchor chart and discuss different examples. Students complete a worksheet, in which they circle or underline the verbs. They even complete a homework assignment to further practice identifying verbs. At the end of the week or unit, they take a quiz on verbs, and pass with flying colors. For years, I have followed this routine, only to get frustrated when I get those blank stares and uncertain responses. Each year, I try to find a way to make teaching grammar and writing skills more meaningful for my students. 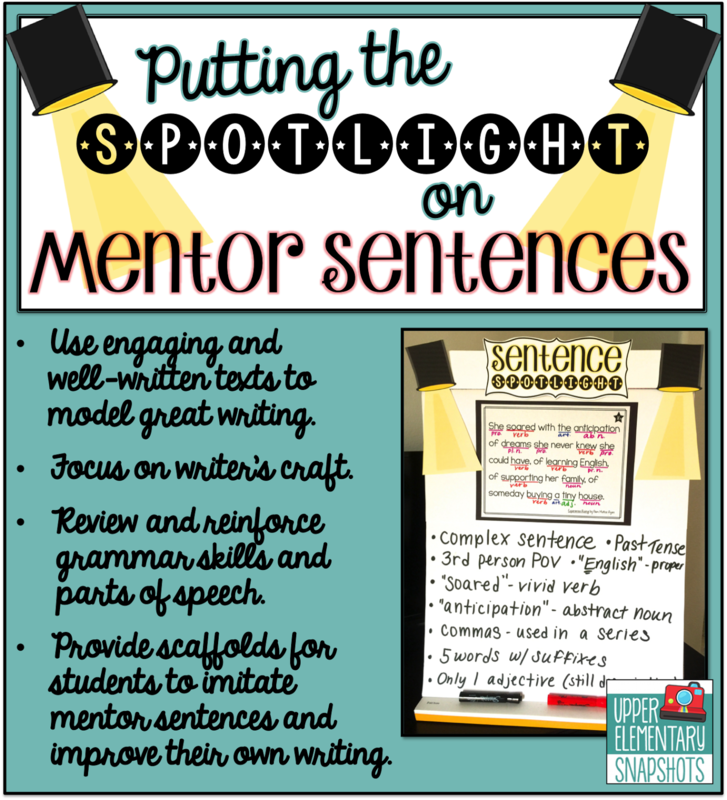 ✪ Mentor sentences serve as examples for students of what good writing is all about. 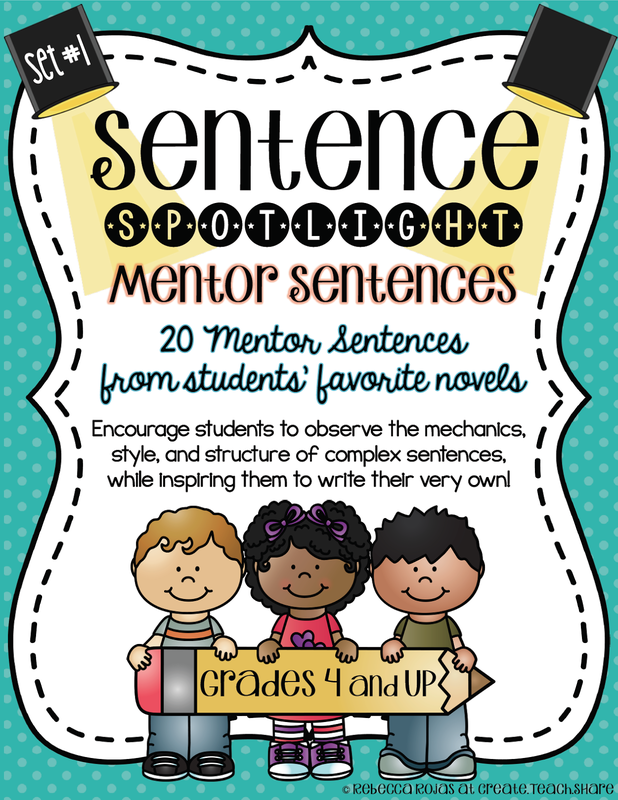 Mentor sentences are a great source for identifying different elements of writing, including grammar, structure, and style. Mentor sentences show good writing done right! ✪ I love using mentor sentences in my classroom because they give students the chance to see great writing up close. Mentor sentences allow them to breakdown a sentence to see how it was constructed, in order to make meaning for readers. ✪ There is a lot of freedom and flexibility with mentor sentences. Students at different levels will notice different things about a sentence. Looking closely at a mentor sentence leads to great conversations about writer's craft and how an author uses different techniques to communicate an idea. ✪ Each time my students work with a mentor sentence, we have a chance to review grammar skills and parts of speech. Each exposure to mentor sentences helps reinforce their understanding of a variety of skills. ✪ Students get the chance to "imitate" the structure and style of a sentence, giving them the practice and confidence they need to write complex sentences of their very own. ✪ Next, I type the sentence in large writing, with double spaces, and print it to display. ✪ I also type it onto a worksheet where students can work with the sentence, recording what they notice. See the example below. 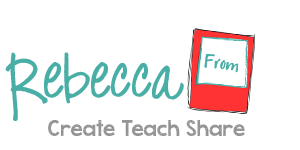 ✪ I then use the sentence to create a "frame" or "scaffold" for students to imitate. ✪ Next, we come together whole group. 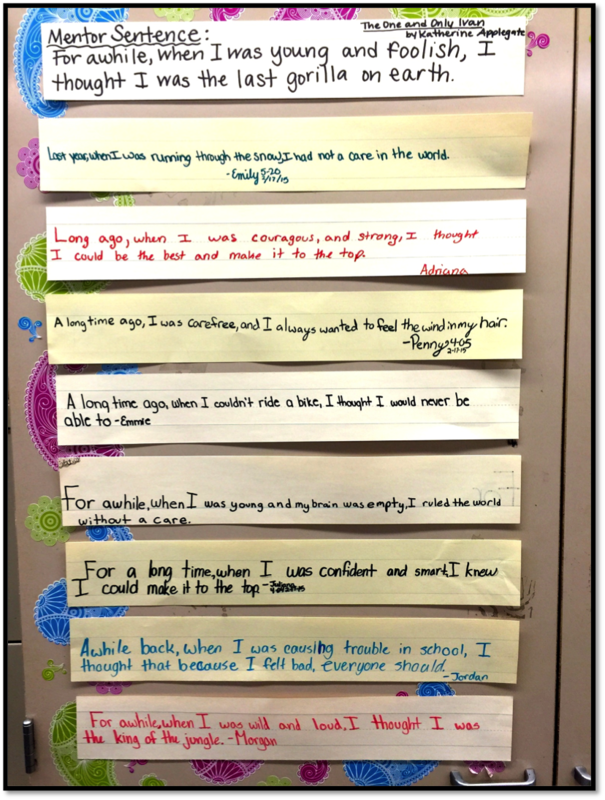 Students share what they notice, and I guide the discussion to focus on certain aspects of the sentence that I want them to notice. ✪ After our discussions, we work to label the different parts of speech that are in the sentence. This helps review and reinforce previously taught skills. Students label the sentence on their own sheet. ✪ My students love this next part! They use the "Sentence Frame" or “Sentence Scaffold” to write and share sentences of their own. They love using the sentence frames to come up with new, creative sentences. It gives them confidence that they can write complex sentences on their own! ✪ Last, I give them the chance to write sentences without using the frame. I encourage them to keep the basic structure, while still changing certain elements. It’s amazing what they come up with! 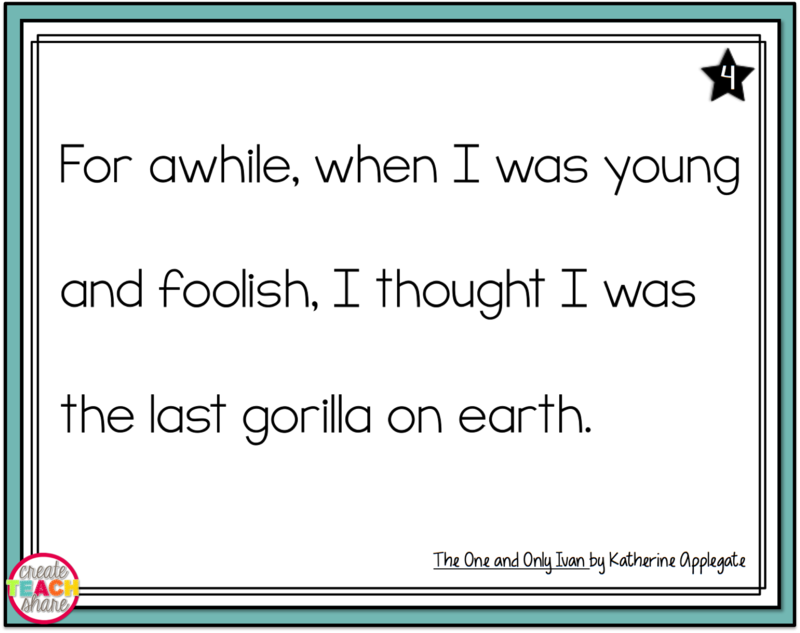 ✪ When students come up with amazing sentences, I love to share them with the class. 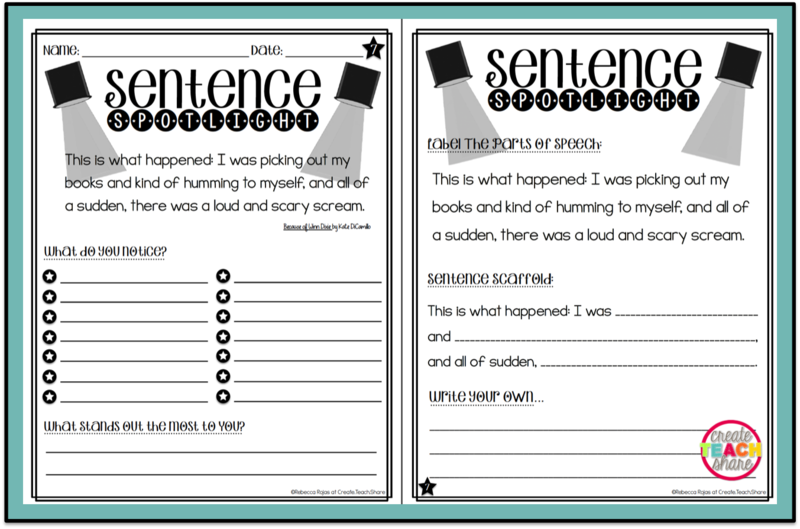 We read them aloud, and I have those students write their sentences on sentence strips to display in the classroom. They are always so proud to have their sentence selected for display! Even some of my more my reluctant writers are motivated to get a sentence displayed!! 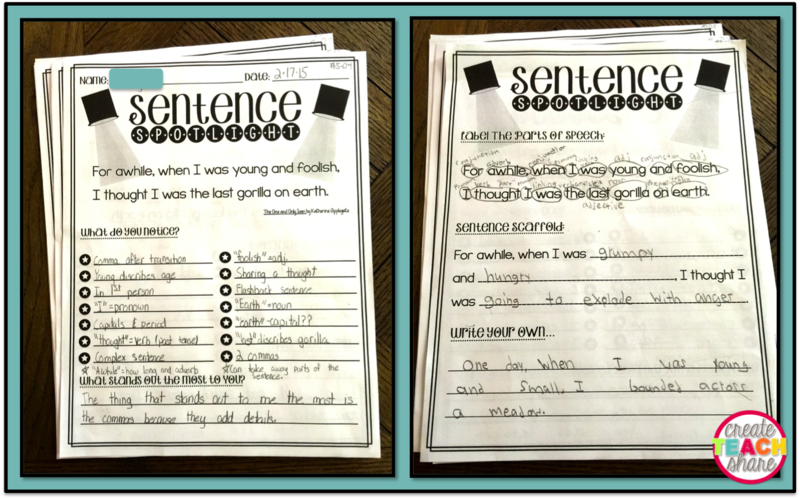 ✪ I also encourage students to "collect" sentences. Not only are they a great source for mentor sentences to use as a class, "collecting" sentences also encourages them to be on the lookout for great writing!! I love it when they come rushing up to share sentences they have found!!! Click Here for Sample & Template!!! After first hearing and reading about mentor sentences, it took me a very long time to start implementing them in my classroom. I hope you will give it a try and see how truly meaningful mentor sentences can be!